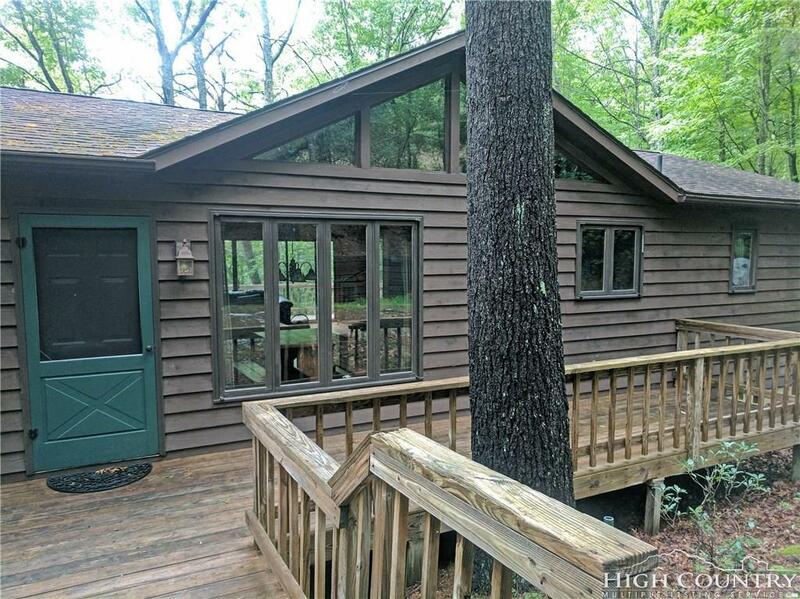 This 4 bed/3 full bath house is an excellent home for the money, with two stone wood-burning fireplaces, and wrap around decks. The septic system is newly installed and has been expanded to a 4 bed system. You have the comfort of a warm fire during the winter and the cool breeze of the mountain air in the spring and fall. Finishes are dated but in excellent condition. Good level parking and nice sloping lot is easy to walk. 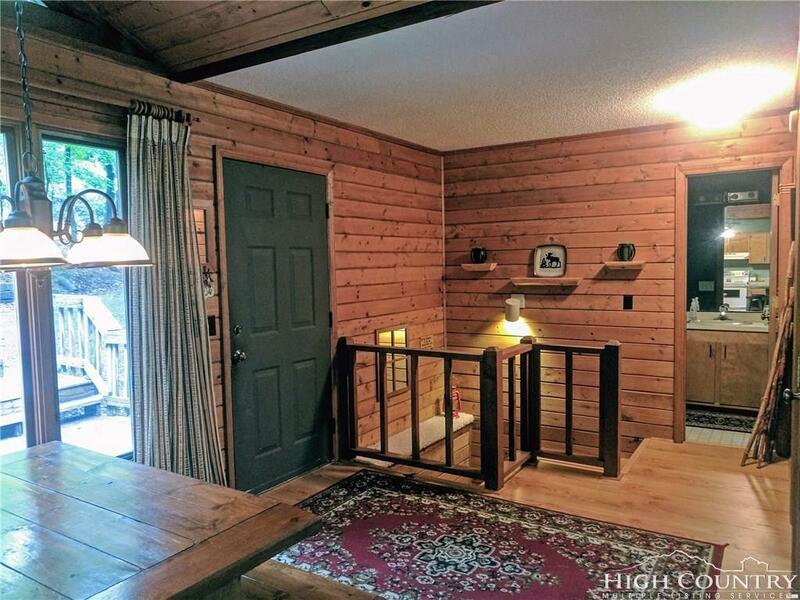 Lots of light, master on main level with walk-in closet. 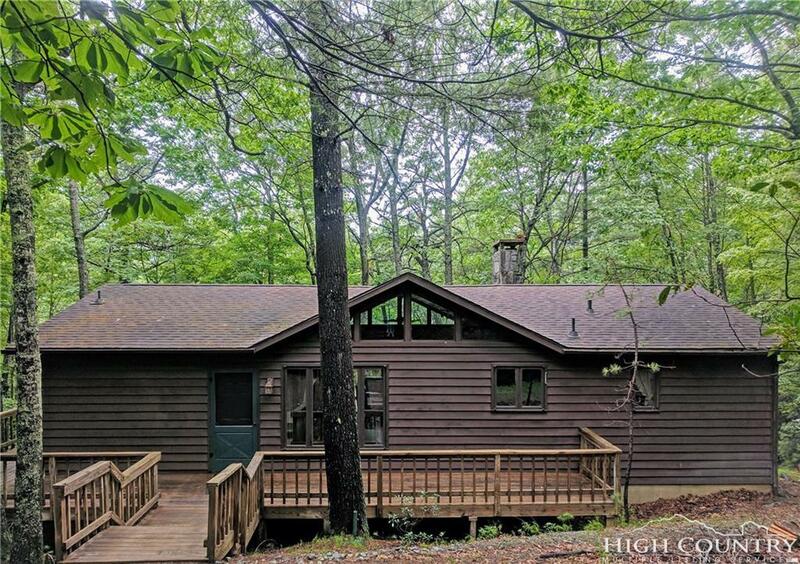 Two enormous decks off the back side of the house that overlook a wooded, mountain view. Both long and short-term rentals are allowed in the community. Powder Horn is a gated neighborhood with a pool, three lakes, clubhouse, campgrounds, fitness center, tennis court, half basketball court, playground, paddle boating, fishing, and so much more! Elk Creek is a state-stocked trout stream. 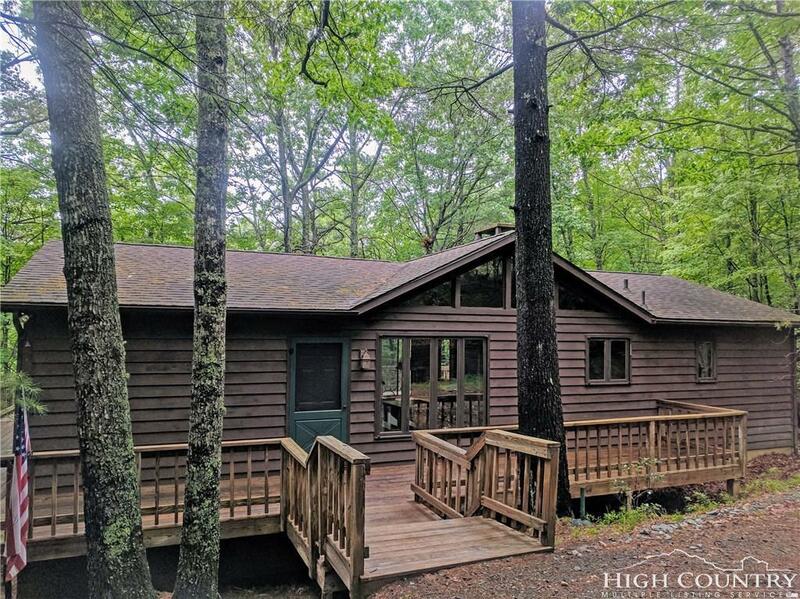 Located only 10 miles to Boone, and 6 miles to the Blue Ridge Parkway access point, you have a quick and easy trip to restaurants, shopping, entertainment, outdoor activities, and pretty much anything else you want to do in the High Country.